I live alone, so I like recipes that create a single serving without leftovers to binge on. This week I experimented with a recipe Kathy left in the comments on my oatmeal visit entry last week. 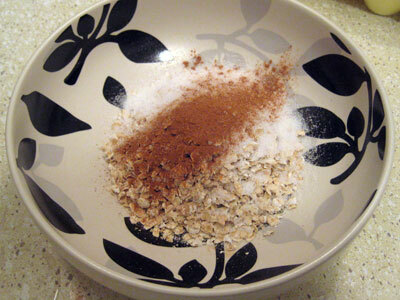 Mix together the oats, Splenda and cinnamon in a small microwave-safe bowl. 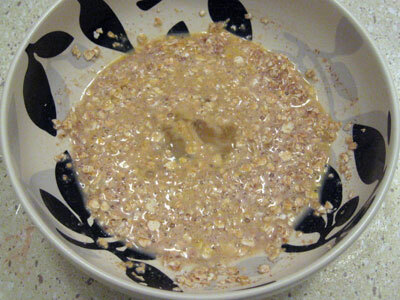 Then mix in the egg and soymilk. Microwave the bowl for three and a half minutes. Lift out pancake onto serving plate and enjoy! Or you can eat it straight out of the bowl. Just a note: I guesstimated the ingredient measurements. I’ve just been eye-balling the amounts until the mixture looks good. At first I tried it without any milk, but it was too dry, so adjust that measurement depending on how gooey you want the pancake. If you’d prefer to make this as a muffin, you could probably microwave it in a small mug and scrape out the end result using a spatula. Either way, it’s a quick and easy way to eat some carbs and protein in the morning without creating a batch of muffins, which I always end up binging on. Thanks, Kathy! I can’t remember how I got here (I’ve been clicking on so many links) but I’m glad I found you. 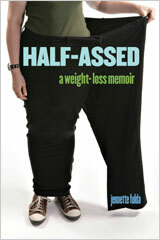 I am inspired and can’t wait to take a look at your books, both “Half-Assed” and “Blog to Book”. Thanks for your advice, and courage to make it all happen. Single serving recipes are a great idea. Saw this just before I went to forage for breakfast, so I gave it a try. Very different in consistency, but I liked it, and so much healthier than a regular pancake! I think next time I’l try it topped with fruit and maybe with some nuts tossed into the batter. Thanks! Looks awesome! I noticed you were using splenda again, I might have missed this but did the organic thing not work for you? Well obviously it didn’t if you’re back to splenda :-) Was it tough going completely organic? How long did you last? Just wondering what your eperience was with that. Have an great day! Love the single serving idea! 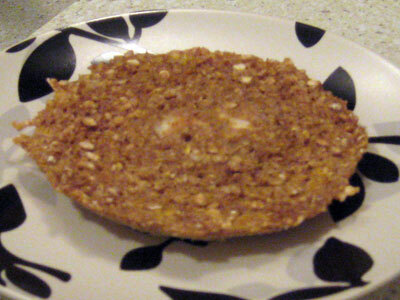 Cover bowl with saucer and invert it to turn out muffin. Cut it into 6 wedges. @nicole – Oh yeah, that organic/no-artificial-sweetener diet did not last long. I’ll try to remember to write about it soon. Pour mixture into skillet to form 2 pancakes. Turn and cook other side until brown. Two Pancakes with syrup 172 calories. Maybe its something you should check out. 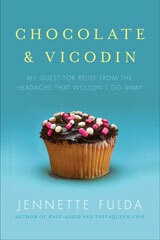 @Loup – Personally, I don’t think there is any harm in eating Splenda. There are always people who are afraid of new products, and I respect their decision not to eat Splenda, but I have no qualms about using it. And that link requires registration, so I can’t read the article anyway. At first, the idea of putting oatmeal and an egg in a bowl for breakfast sounds… uh… less than appetizing. But then I remember all the vats of oatmeal cookie dough I’ve consumed over the years and suddenly, it seems freakin’ brilliant! @Ashley – Thanks! I got them on clearance at Target. You know, that looks delicious. Waking up (super) early in the morning for personal training sessions I need quick and easy breakfast ideas. Gonna have to give this one a try. I had to laugh reading this post. This is how I eat my oatmeal. I don’t like it all runny and soft or mushy so I always use less water/milk and it comes out like a mini muffin. I guess I’ve been doing the pancake thing all along – who knew. Hope you are feeling better. You are an inspiration and fun to read! I am so tired of eating borring old oats in the traditional way each morning, I think I should try this recipe. Oatmeal has been a good addition to my own weight managing diet. Although I don’t live alone, we are on weird schedules that leave us all cooking for ourselves, at least for breakfast. So the single portion thing has been key for me, too. I think a lot of people really can use it! 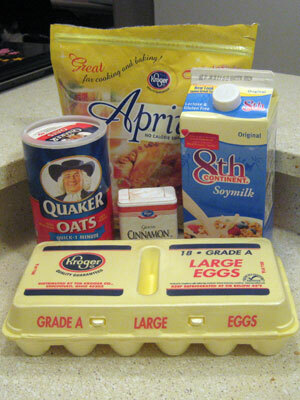 Here’s my oatmeal recipe, modified from a friend’s more elaborate invention to fit Weight Watcher’s Core. It’s made from organic steel cut oats (I get a box for less than $3 at my Trader Joes) – they take awhile to cook, kind of like brown rice . . . but I cook up a big batch, and then just microwave it in portions. Cold oatmeal in the fridge is not something I am likely to binge upon LOL! To make up the individual custard servings, I put about 1/4 cup cooked oats in a small microwave safe bowl, break an egg into the bowl, and whisk in about 1-2 tablespoons water. (You can use milk if you want something more custardy, but it counts for WW points.) When the whole thing is whisked smooth, cook in microwave on 50% power for 3 minutes. Stir around 2 minute mark if feeling ambitious. I went to the store and got some instant oatmeal packs. I LOVED IT. I loved it so much I made it twice yesterday while waiting for turkey, and again for breakfast this morning. Thanks for sharing! We found pancake batter in a can at Costco! 3-pack for about $11 in the refrigerated section. It’s all organic ingredients, nothing weird. You just squirt it out into the skillet like it was a can of Redi-Whip, but it’s pancakes! Easy to cap it off and stick it back in the fridge. I ate this for breakfast (with many modifications)! 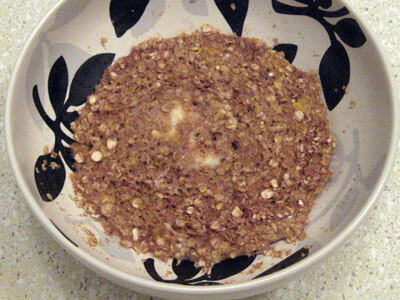 Firstly, I microwaved an egg, 30 grams of cup quick oats and a 1/2 cup of milk for two minutes. Then I mixed it around a bit and microwaved it again for a minute. During this time, I sliced up a banana. Then I microwaved everything together for another minute. I should’ve really done it your way. :| But mine tasted alright (adding an egg to oatmeal makes porridge so fulfilling!). I am diabetic and my usual breakfast is a package of high fiber Quaker oatmeal with a protein such as an egg. The protien combined with the carbs in the oatmeal keeps my blood glucose levels from spiking. This recipe sounds great. I can even substitute the egg for 2 egg whites and probably still get my protein without the cholesterol. Thanks.